Liverpool ace Adam Lallana was ruled out of his side’s FA Cup encounter with Wolves due to injury, and the reaction hasn’t been particularly kind. As seen in Liverpool Echo reporter James Pearce’s tweet below, the 30-year-old was ruled out of the clash at Molineux on Monday night with a ‘minor knock’. In turn, he will not add to the eight appearances that he has been limited to so far this season, while he has totalled just over 300 minutes of playing time. Lallana has unfortunately been dogged by injuries in recent times, as he was restricted to just 15 appearances in the entire campaign last year. 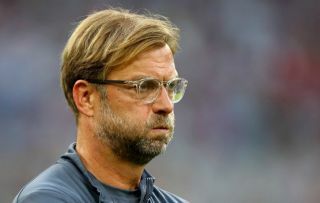 As he struggles to steer clear of setbacks and remain fully fit, it raises question marks over his future at Anfield and whether or not he can consistently play a key role for Jurgen Klopp, even perhaps just as quality depth. With his contract set to expire next year, Liverpool seemingly have a big decision to make this summer if they perhaps want to avoid losing him for nothing, albeit his injury record will surely raise doubts for any interested party in justifying spending money. As seen in the tweets below, many Liverpool fans are perhaps annoyed over Lallana’s ongoing absence as it will be a bitterly frustrating situation for all concerned as ultimately they all want to see him play regularly for the Reds and have a positive impact for the squad as they chase major honours this season. However, there is also perhaps a lack of sympathy for the England international too, as he’ll surely be desperately disappointed himself not to be in contention on Monday night with Klopp making nine changes to his starting line-up and giving the likes of Curtis Jones and Rafael Camacho a chance to shine instead. Did he break a nail? Just lie to us and tell us he’s transfer listed James. Please. He should be ruled out of Liverpool FC already. He is worse than Stu in his hospital prime. Expected. Great professional, but not a on a Liverpool level by any means. Can’t stay fit for more than 2 days.